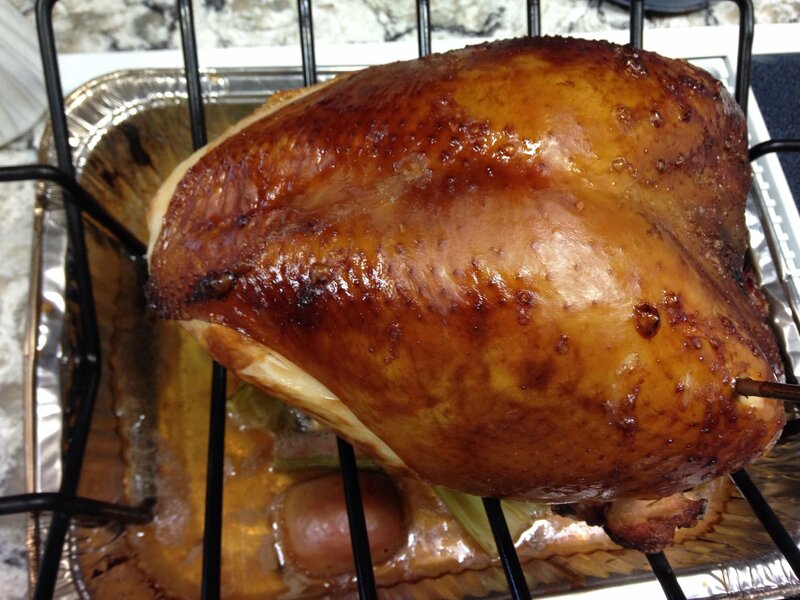 A couple weeks ago I brined a turkey breast and fixed it as a practice run for TDay. I hope this week's turns out as good as this one was! Looks good, how did you cook it? Indirect, in V-Rack over drip pan filled with onion, celery, carrots, apple, sage, broth. 7# breast took about 2.5 hours at dome temp of about 325. Cooked to 160.